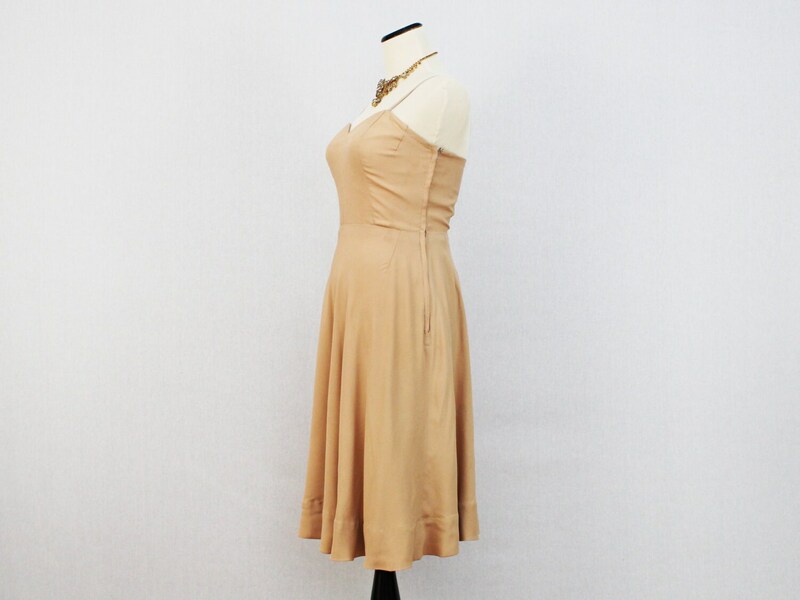 An elegant, understated Harvey Berin dress designed by Karen Stark in tan. Spaghetti ribbon strap sleeves, and zips up the back. Unlined. Only noted flaws are some areas where the seams could use reinforcing, but they have not split.